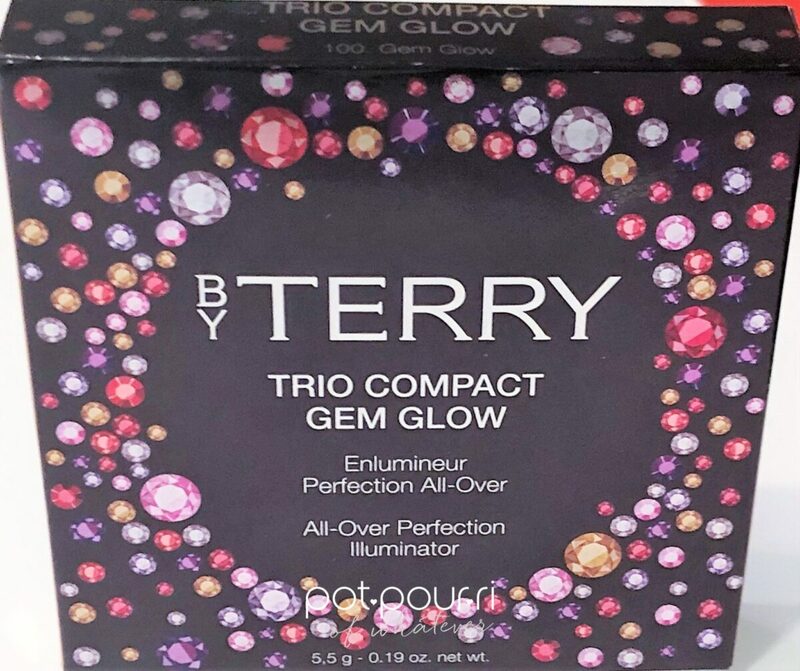 The New, Limited Edition By Terry Gem Glow Trio Compact is part of the By Terry Glam Glow Holiday Collection. 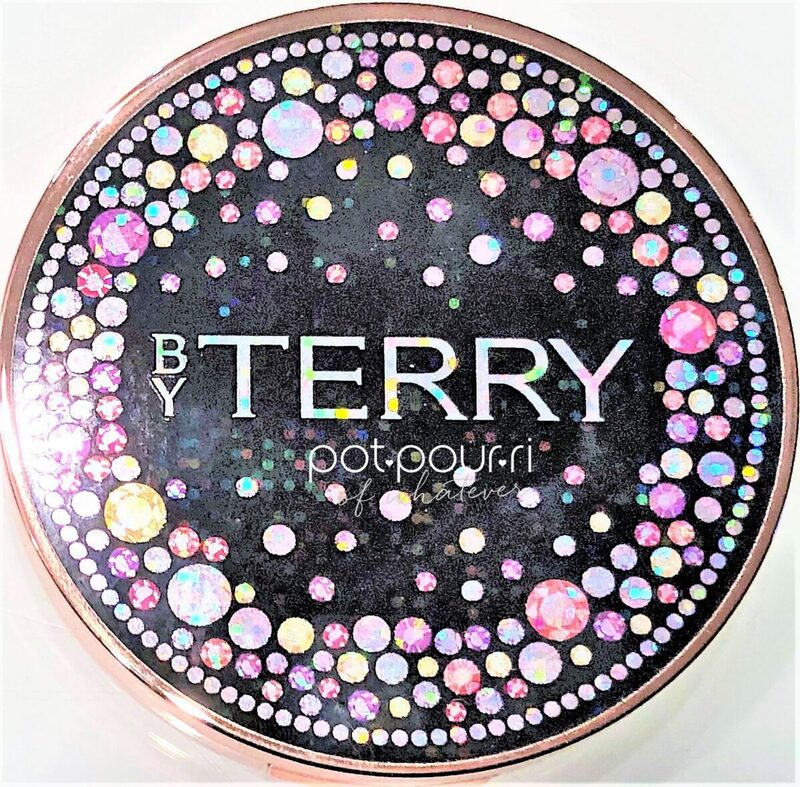 To begin with, Terry’s inspiration for the powder compact came from the reflection of gemstones. 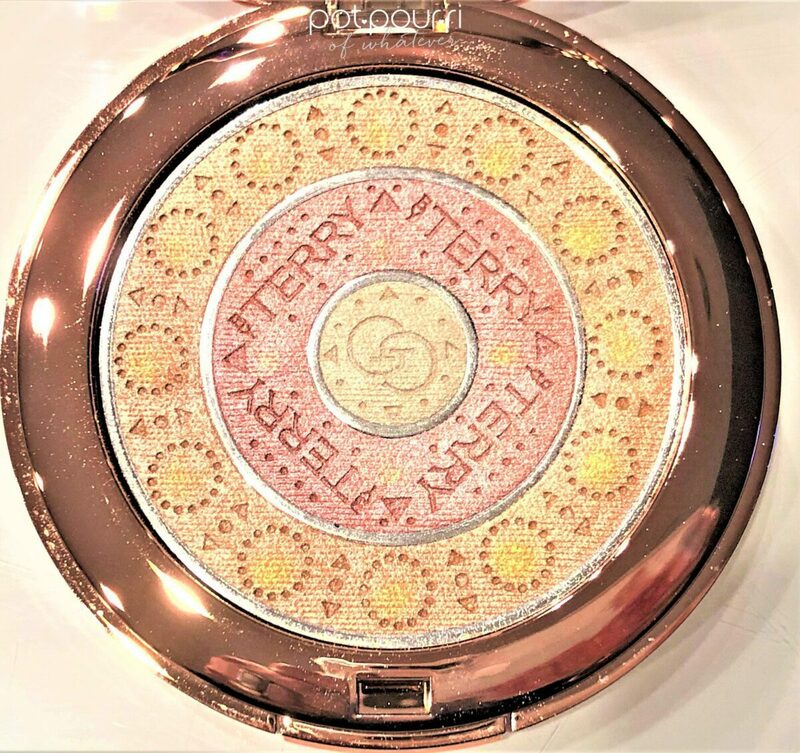 In addition, the compact includes three different powders that mattify, illuminate and perfect your complexion. Moreover, the three divided powders look like the circles on a dart board. First, there is an outer circle of powder. Next, inside of the outer powder circle, is another, smaller circle.of powder. Finally, the last circle of powder, the smallest, is the bulls eye. The bull’s eye is in the center. 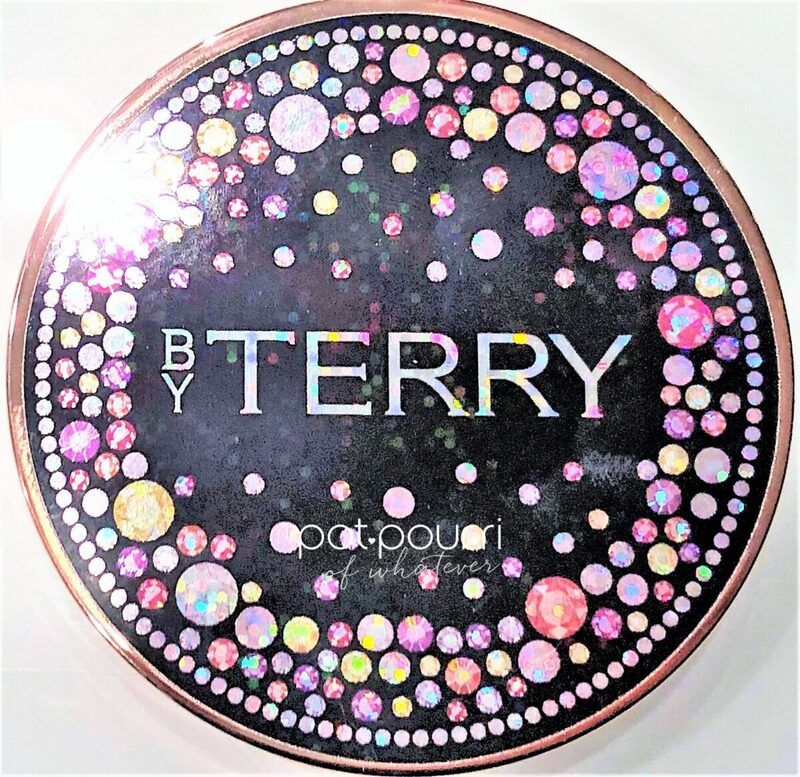 First, you can use each of the circles (powder) alone. Also, you can mix the three together for the perfect complexion. 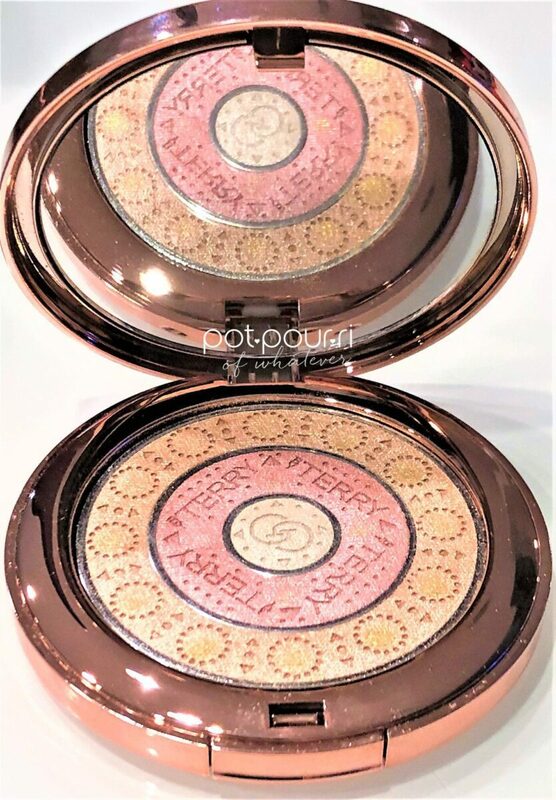 Either way, the powders are universally flattering. As a result, they give you an instant, healthy-looking glow. 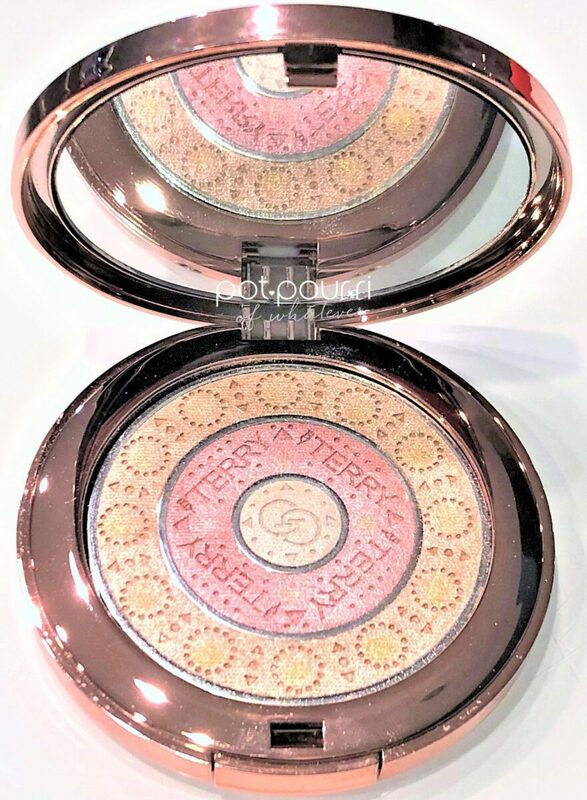 You can find the By Terry Gem Glow Trio Compact at Beautylish, Barneys, and on the By Terry Website In addition, the Gem Glow Trio compact retails for $65. The compact is embellished with rhinestones. Well, not exactly rhinestones. Although, there is a picture of dazzling rhinestones and sequins. Furthermore, the cover glows and reflect light. Moreover, depending on how light hits the cover, the picture reflects colors. For example, some of the stones reflect in gold, silver,and pink. Other stones look purple, turquoise, and red. Also, the compact has a large mirror. It is great to travel with. However, You’ll need a brush! Also, the compact is a collectible. It makes a great gift. 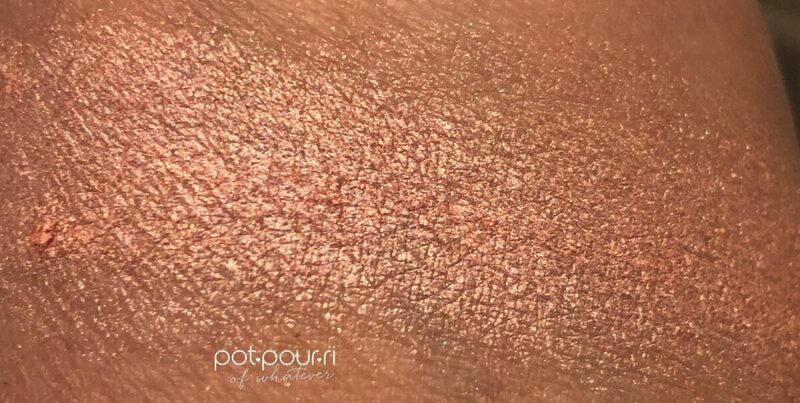 The formula has light-reflecting mineral pigments. Additionally, the formula includes perfecting prisms. And, the powders have a silky texture. The powders feel like cream, and apply like a powder. 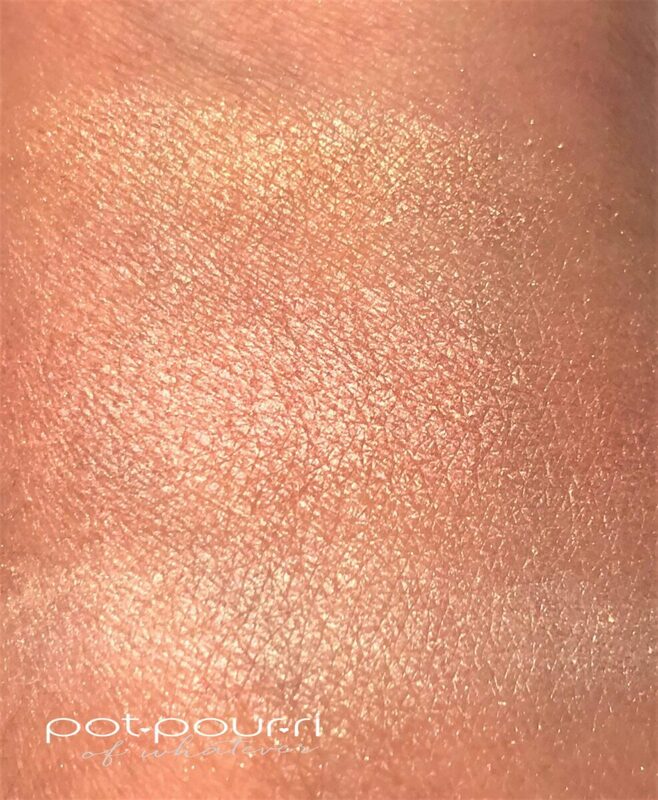 First, the outer ring is a warm champagne-golden shade with a subtle-shimmering finish. I love that it almost looks wet. You can use it on your eyes, as a highlighter. Also, use it to warm up your cheeks. You can also pop some in the center of your eyelids. Second, the ring inside the warm champagne ring, the ring in the middle of the trio, is a soft pink flush with a satin – shimmer finish. Third, the center shade,( the bull’s eye) is a pearl highlighter. It can be used alone. You can use it under your brow bone. Also, apply it to the apples of your cheeks. In addition, you can apply it to the bridge of your nose, the inner corners of your eyes, and your Cupid’s bow. 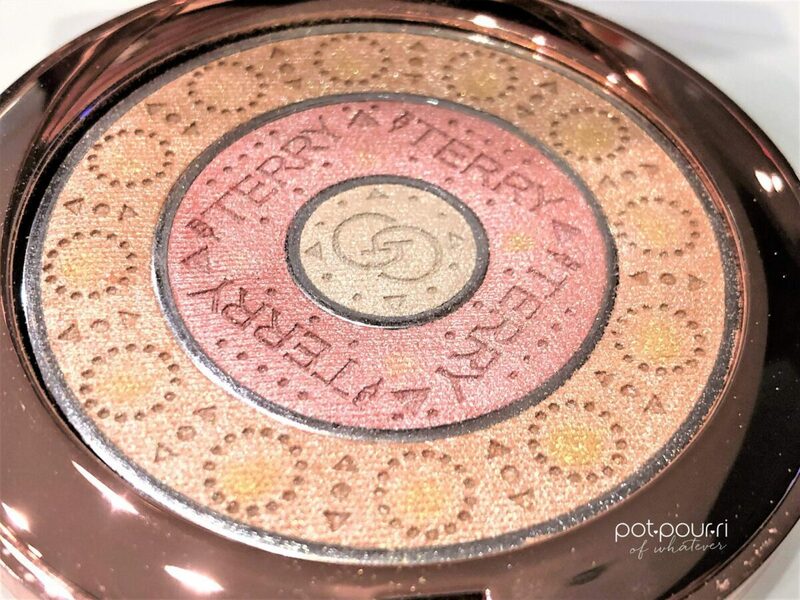 By Terry Gem Glow Trio Compact Powders Last But Not Least…….. Finally, you can combine all three of the powders. Swirl your powder brush around all three of the shades to pick up powder from all three shades. You’ll love the result – an enhancing veil of pink-apricot powder! Ultimately, the effect is an instant, healthy glow! What do you think? Leave your comments in the box below!